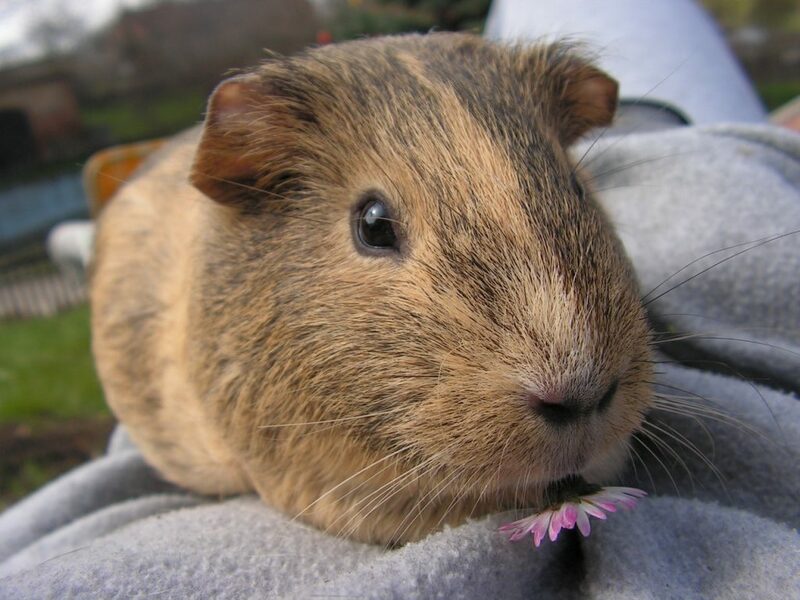 In the article today, we show you how to get the right kind of guinea pig bedding which will keep your cage odor free and provide a comfortable surface for your guinea pigs. Fleece-based bedding: More expensive up-front but also washable and cheaper in the long run. Comes with a variety of patterns and colors providing many options for decorating the cage. Paper-based bedding: Is removable and you can thus skip washing the bedding, as you need when using fleece-based bedding. Less expensive but will cost more in the long run. In this article, we will start by providing guinea pig safe fleece bedding before we move to paper-based bedding (that is just as safe). At the end of the article, we’ll describe why you should no longer use wood-based bedding. If you have decided to go with fleece bedding, we think that’s a good choice. Below, we have hand-picked fleece bedding that is properly treated to maintain odor. There are quite a few designs to pick on each of the beddings so even if the pattern is not right for you, click on it to see if there are others you might like. The Midwest piggy liner is a stylish fleece bedding to beautify your uninteresting cage. It is designed to absorb urine or any liquid substances from top to bottom. What we love about fleece beddings is it can save you a lot of money because you won’t have to buy beddings over and over again when it runs out. Also, it is less messy compared to wood shavings or paper beddings. It is fairly easy to clean since fleece just wicks the urine from the surface. You just have to wipe the droppings once to twice a day and make sure to wash it weekly. 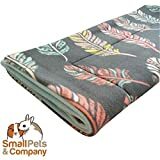 This bedding is reversible and lets you have two different looks for your guinea pigs enclosure. The size of this item is perfect for Midwest Guinea Habitat. So in case you are using a different cage with a different size, you might have to do a little alteration. 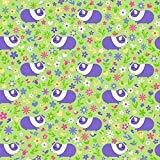 The Guinea Pig Fleece Fabric has a purple guinea pig print on it. It is very adorable way to lighten up the cage of your pet and your room as well. This product is technically not a bedding. It is a fabric sold by the yard that you can use to make animal and pet products such as pillows, blankets and beddings. What we love about this product is that you can customize the fabric to fit the needs of your cage. You can cut it to whatever shape and size you prefer and deem necessary. Also, when you have extra fabric, you can make other things for your pet like ramp cover, hammock, etc. It is a premium anti-pill fleece which means that your bedding will stay smooth and comfortable for quite some time. Just like the Midwest piggy liner, this one is also reversible and you will have an option to decide what look will be for your pets cage. A lot of guinea pig owners love the performance of this liner. In fact, it doesn’t have much difference from the Midwest piggy liner, only that the latter is wicked. However, you can make this bedding wicked as well by following a process that can be searched online. To achieve the optimum performance of the Guinea Pig Fleece cage liner, you must follow the instruction that comes with the product. Otherwise, it might not effectively carry out its purpose and your bucks might just go to waste. If you do decide to go with disposable guinea ped bedding, there is absolutely no doubt you should choose paper-based bedding and not wood-based bedding. As such, it is a matter of taste whether you go with paper-based bedding or fleece-based bedding. If you decide to go with paper-based bedding, we have hand-picked the best bedding for you (and your guinea pig) below. The bedding that is most preferred by experts and guinea pig owners are the ones that are made from paper. Aside from its super absorbent trait, it is also dust-free and readily available in the market. The Premium Small-Animal Bedding from Pet Select is the best choice when it comes to guinea pig beddings. It is made from unbleached, never been printed paper. 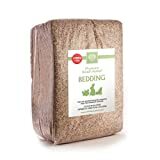 That means, there were no chemical added on the processing of this bedding which makes is it safe for your pet. We love that a single bag expands 3x in volume from its packaged size which means that you will get more than what you paid for. It is cheaper than the Carefresh complete bedding but in terms of performance, they do not really differ that much. Both can absorb well and can control odour good as well. Beddings are commonly made from paper or wood shavings. 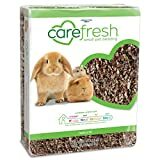 The unique characteristic of the Carefresh Complete Pet Bedding that sets it apart from the two other beddings on this list is that it is made from comfyfluff. Unlike other beddings made from reused and recycled papers or shavings, this bedding is made from scratch. Carefresh makes their own material using raw and natural fiber that was acquired straight from the source. A lot of guinea pig owners love this product because of its absorbency and ability to control odour. In addition, it is also dust-free which makes pig owners feel safe and confident that their pets will not have any allergic reaction to it. If you are looking for something that can offer softer and safer bedding for the sensitive feet of your guinea pig, then this is the way to go. It may cost you more but we can guarantee that it will serve its purpose. The Critter Care Pet bedding from Healthy Pet is made from reclaimed wood pulp. Guinea pig owners say that the texture is that of a soft cardboard. It’s stiffer than a paper bedding but still not that too harsh on the guinea’s little feet. This bedding absorbs up to 3x its weight and can control odour well which means you don’t have to change it often. With that said, having this bedding will help you save you money, time and energy. Beddings made from wood are usually a little dusty. So, set your expectations already to avoid disappointments. Since this one is almost dust-free, there will be less risk of allergies to your pets. But if you have a super sensitive guinea and the extra budget, then just go for the premium products to avoid unnecessary sickness and expenses. As the saying goes, “prevention is better than cure”. Historically there have been 3 types of guinea pig bedding. Wood, paper and fleece. For many years, wood was the preferred bedding option when housing small animals. Overall, there are no good arguments for using wood guinea pig shavings and a lot of arguments against. That is why we recommend going with either fleece bedding or paper-based bedding. Previous Post Best Guinea Pig Hay (your piggy will love) | 2019 Guide Next Post Best Guinea Pig Food: What Do Guinea Pigs Eat?